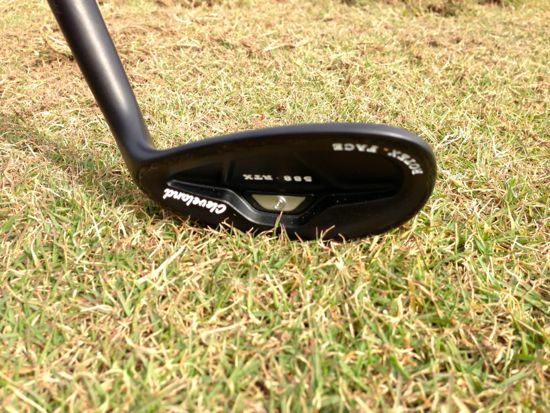 A few months ago we received a new Cleveland 588 RTX CB Wedge to do a review on. After a few months of having the club in and out of the bag, it felt like it was time to finally get the review posted. Rotex is the new milling approach and there are a series of wedges with the RTX designation that indicate the use of the Rotex milling. 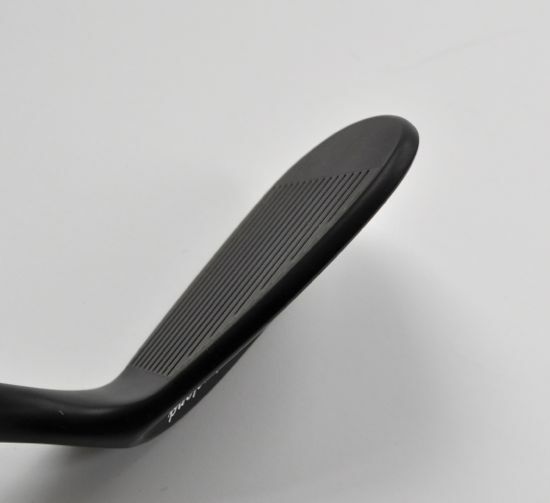 The CB in the 588 RTX CB name indicates that this is the cavity back version of the wedge (the wedge also comes in a blade version as well). For the CB version, there are eight different lofts ranging from 46 – 60 degrees and all have set bounces (the two-dot bounces by Cleveland). The black pearl color is nice and doesn’t produce any glare when viewing. It’s a rather noisy design with the excessive stamping and overall aesthetic of the club. Likely not something that a purist would admire, but the looks are inline with many of the modern large manufacturer wedges. 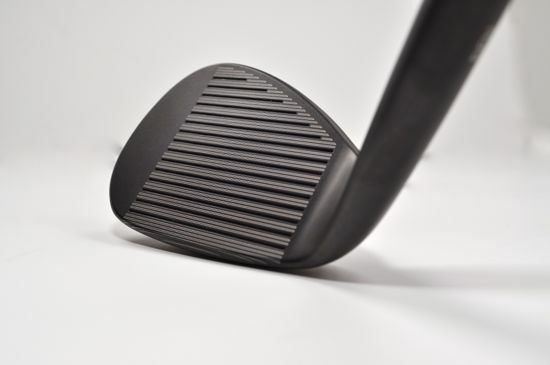 The black does show wear faster than the satin or chrome finish, so its good to consider this when you’re choosing new wedges. I couldn’t tell a noticeable feel or performance difference with the larger grooves. Performance wasn’t any worse than other similar wedges, but also wasn’t noticeably better. 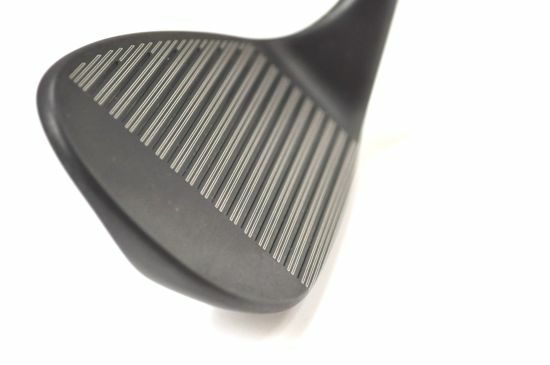 The larger grooves are noticeable when looking at the face of the club and I really like the look of the grooves when looking down at address – I just didn’t notice any significant spin increase over the zip grooves from Cleveland. The largest downside of the wedge for me was simply the amount of bounce. I used the two-dot version that equates to a 14 degree bounce. There’s simply too much bounce for me to use the club from the fairways of my most frequently played courses. Cleveland doesn’t offer lower bounce versions of the 588 RTX CB, so if you are looking for lower bounce you’ll likely need to pick another wedge. 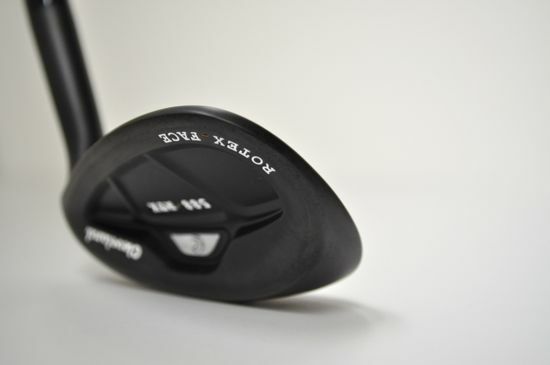 Overall – the 588 RTX CB a good wedge although I really prefer the feel of the blade over the cavity-back. There’s just something about the crisp feel of the blade that I can’t live without. The cavity back version still performs, but IMO the feel suffers significantly. If you’re looking for a versatile and forgiving wedge, this wedge is worth taking a look at – but if you’re looking for something with a solid feel and aesthetic then it’s worth considering the Forged 588 or Forged 588 RTX.